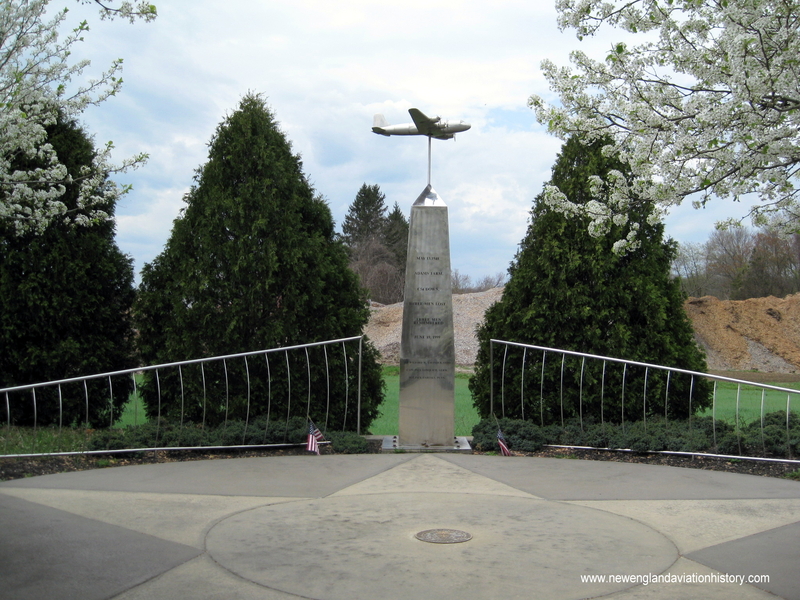 At 12: 10 p.m. on May 13, 1948, an four-engine Army transport plane, (a Douglas C-54 Skymaster), left Westover Air Field in Chicopee, Massachusetts, with three men aboard for a routine instrument training flight. Four men had initially been assigned to the flight, but one failed to go due to being off-base on official business at the time the flight was to leave. While over the area of Northampton, Massachusetts, the aircraft encountered thick cloud cover and drizzling rain, and the crew had to switch to instrument flight rules. At about 1:30 p.m. the plane disappeared from radar and crashed on the Adams farm on Florence Road in Northampton, killing all aboard. No distress call had been received. The aircraft narrowly missed hitting a barn and the Adams farmhouse with family members inside. When the aircraft crashed and exploded, Mrs. Adams later described to a reporter how pieces of the plane struck the side of the house and came through the windows. Hundreds of people descended upon the scene creating a massive traffic jam that hindered fire fighters efforts to extinguish the blaze. Captain Paul Lonquich, 40, of Yonkers, N.Y.
1st Lt. Wilfred W. Lavinder, 23, of Portsmouth, Ohio. S/Sgt. Jack Zaresky, 26, of Queens, N.Y.
All three men were assigned to the 12th Squadron of the 1st Air Transport Group. Today, a memorial honoring the three men stands near the crash site. Boston Traveler, “3 Die In Air Crash Near Northampton”, May 13, 1948, page 1. Springfield Union, (Springfield, Mass. ), “Three Fliers Killed In crash Of C-54 At Northampton”, May 14, 1948, page 1.